Today we are at the Third Sector Charity Impact Conference at the Emirates Stadium in London. It’s a gathering of like minds, all with the pressing question of how to do evaluation. Measuring well-being is very much on the agenda. In the first session, Shelia-Jane Malley, Director of grants and policy at BBC Children in Need, said that the new focus on well-being had ‘changed the game’ for charities. BBC Children in Need is trialling the Measure with four of their grantees in England, Scotland, Wales and Northern Ireland. Later on in the day, we look forward to hearing from Emma Ferris of the Outward Bound Trust about how they used NPC’s Well-being Measure and what new things they learnt. 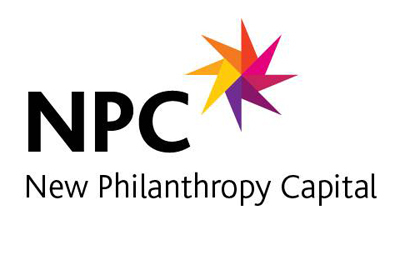 And NPC’s own David Pritchard and Peter Wheeler will talk about linking strategy with outcomes measurement, and what the future holds for impact measurement. We look forward to a great debate and some interesting conversation. If you are one of the 350+ delegates, come and say ‘hello’ and pick up some information – we’ll be at our stand in the main hall!